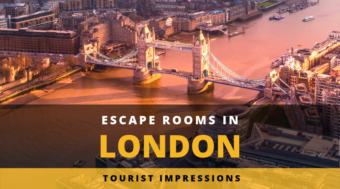 We have heard that Time Run in London is among – if not the – top rooms in Europe. Naturally, we wanted to go, but it just did not work out on our first trip to London at the beginning of the year. 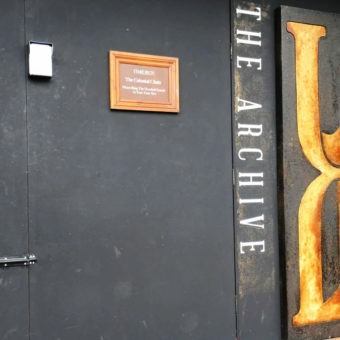 “Who cares, we will do it the next time” was what we thought – but we did not expect to hear that Time Run will probably have to close its doors at its current location till the end of August 2017 – which has now been moved to December. 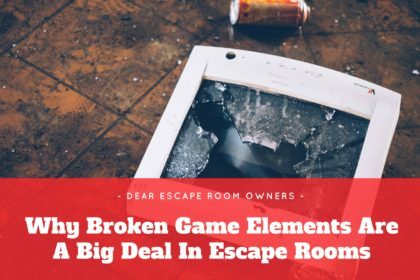 We wouldn’t be real Escape Room Enthusiasts if we wouldn’t have panicked at this point. We were faced with two problems: when can we squeeze in a rather spontaneous weekend to London and who can we actually play the two Time Run games with, since they are designed for 3 to 6 people and we were told that a minimum of 3 is actually really that. Luckily, friends we met on our Berlin trip told us they would also love to check out the Time Run games. After quickly syncing our times and finding a proper weekend before the end of August, we booked the trip at the end of July and quickly thereafter, we found ourselves in front of the Time Run building. If you plan on playing both games back to back, try to leave at least 90 minutes between the booking times (better aim for 100 minutes). Yes, the game itself is 60 minutes, but believe me, you will need that extra time. In the booking confirmation, you will be told to arrive shortly before the game and ring a doorbell exactly at the time of your booking. 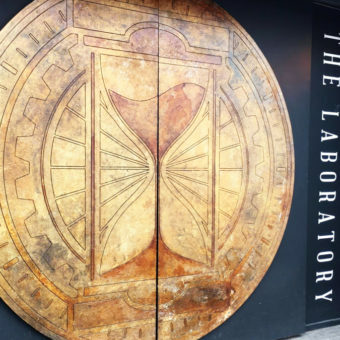 Which means, Time Run does not offer a lobby or a waiting area. There is a nice coffee-shop / bar across the street though, in case you arrive early. We met with our friends from Berlin before the game and headed for the gate of “The Lance of Longinus”, the first game we booked. At exactly 2:00 PM, we pressed the bell and the Escape Room experience began. Dive through a time portal, then voyage through forgotten and undiscovered worlds on a quest for an object of unfathomable power. Run through time, against clock, to track down the Lance of Longinus – before your 60 minutes are up. We were greeted by an actor who welcomed us to his office and explained the basics of the game and the goal of our mission. It was the first time we actually got an introduction fully in character, a trait we will experience more often in Time Run. We were recruited to help on a time travel mission and retrieve an important artefact that had been lost – the name-giving Lance of Longinus. Our help and assistant – taking the place of a traditional game-master was a robot named Babbage, who gave us further information before the start of the game and also helped with hints, if needed. The Lance of Longinus is a classic Escape Room game. You have 60 minutes to solve various rooms and your mission is to find the Lance. If you manage to do complete this mission, you will have escaped in time. We specifically mention this because their second room – the Celestial Chain – has a different setup. Without spoiling any details, you will travel though time portals to various time zones, which are very different from each other. The time travel idea in this instance is a very clever setup and allows the game to offer a wide variety of scenarios, scenes and therefore puzzles. It was very refreshing how different the rooms where from each other, while also offering clever and intriguing ways to integrate the puzzles and tasks. Babbage will accompany you through Screens in the various rooms. Whenever we needed help, the clues were (mostly) on point and did not give away too much. At the end, we escaped with the Lance with 53:41 on the clock and big smiles on our faces. A rogue goddess, once imprisoned, has broken free of The Celestial Chain. Gather what you need to bind her, once again: or risk the end of the world as we know it. After taking a little break on the street (yes, we had to leave through the regular exit and wait in front of the second gate for our next game), we discussed our experience a little bit, but before we even realised, our short break was already over and we had to ring the second bell. Once the gate opened, we got another actor-led introduction for the Celestial Chain. The mission is another Time-Travel based adventure. This time, we had to face an evil goddess, who broke free of the Celestial chain. Our mission was to gather specific artefacts throughout time that will allow to imprison her once more. What would happen if we fail? Only the end of the world as we know it. With this knowledge, we were ready to start our latest mission with a familiar face: Babbage was once again our companion during the time travel adventure. 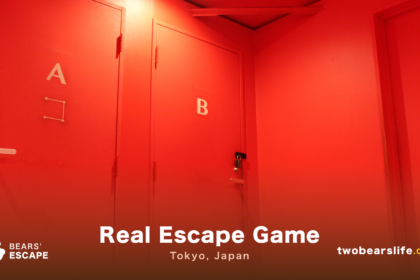 There is a big difference though to the first game: this is not a “classic Escape Room” setup. Rather than having 60 minutes for the mission in total and advancing in your own speed, you will only be allowed to spend a certain amount of time in a single room. After that, the goddess will have found you and you will have to flee to the next time-zone. Which means, you have to gather all the elements you have found and leave, even if you are not finished with the puzzle you have been working on. 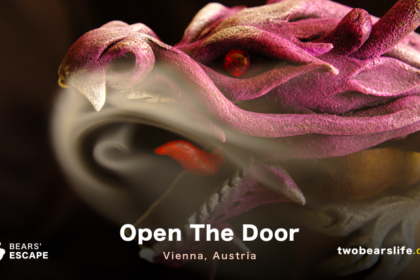 It is an interesting and new approach to escape rooms, which basically allows the players to experience all the rooms. At the end of the mission, you will face the goddess and depending on the amount of elements you have gathered, lock her away for a certain amount of time. Which we did, of course. We gathered 94 of 100 points (although it’s actually possible to get more than 100) and locked her away for 2000 years. 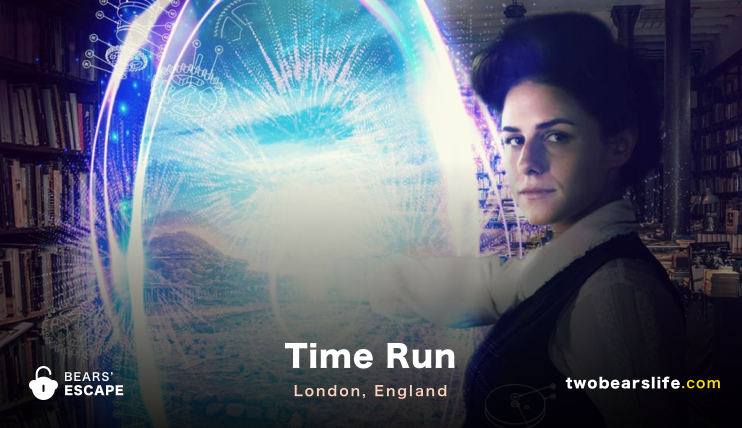 Time Run in London definitely raises the bar on production values and costumer service – no way around that. Other than not offering any waiting area, there is nothing we could nitpick about their venue from a production standpoint. The design is amazing, you feel all the attention to details right from the briefing room, throughout all the game rooms to the debriefing room. Every person we have encountered was really nice, helpful and did a wonderful job. Lance of Longinus is a classic escape room, and although the setting of the last room could have been a little bit more “exciting”, the general consensus was that it was a very impressive experience and definitely up there with amazing games like “The Lost Treasure” from The Room in Berlin. We were not so sure about the second one – The Celestial Chain. But this has nothing to do with any production issues – absolutely not. The game design is as well as in the Lance of Longinus, the rooms look great and different and the tasks and puzzles are fun and engaging as well. We were just not sure what we thought about the “time constrains” per room. Your goal is to find 3 (of 5) hidden objects. There is a very big chance that you will not find all of them in the set amount of time though – and that’s absolutely ok. The rating at the end of the room only asks for 3 items per room anyway. It was just a different experience because we, as enthusiasts, are not really used to having to abandon puzzles while trying to solve them. In the end, this is just a problem if you make it one for yourself. You have to set the right expectations for the rooms, than you will be able to enjoy them as the designers intended. But – we also understand if people say that the experience frustrated them a little bit. On the other hand, this is probably the first room where we could see ourselves going back and trying again to hit a higher score (theoretically). We would not be surprised if this kind of rooms will pop up more in the future, since it allows the venues to run more costumers per hour. As long as the quality is as high as it is in Time Run in London, we do not have a problem with that at all. An interesting bonus they are doing in both games – although more extensively in Celestial Chain – is a team evaluation. 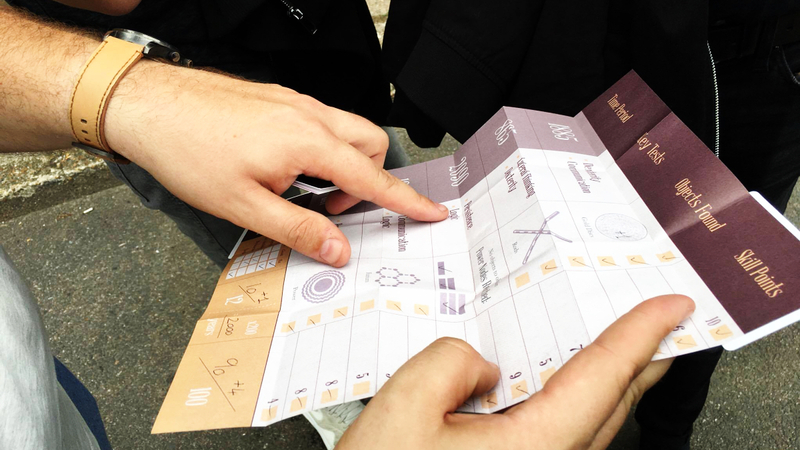 During the debrief of Celestial Chain, you will get an evaluation sheet which gives you a detailed list of your solved tasks and how the points got added up. On the back-side, you will also get assigned one of seven Team types. We got assigned “The Academics” for both games, which seems rather fitting, since it praises our smarts (or more of the ones of our german friends, of course), but also points out our tendencies to over-think puzzles. That’s a nice and cool piece of information to analyse with your teammates afterwards. 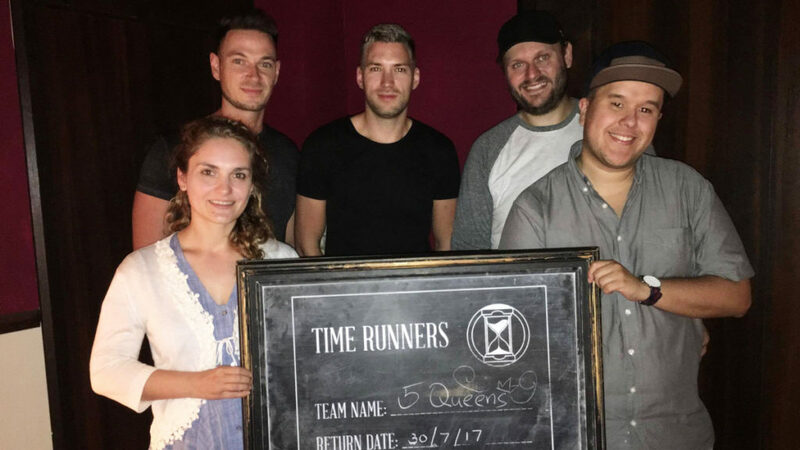 Time Run in London offers two games with some of the highest production values we have experienced. You can reach the location fairly easy with the subway, but be prepared because there is no waiting room available. It is essential that you arrive on time, otherwise you will probably not be able to play, because they have a rather tight game schedule. They offer two tooms: the Lance of Longinus is a classic Escape Room with a 60 minutes, play as you go approach. The Celestial Chain offers a rather “new” experience whereas you will have a set amount of time per room in which you can select items and you will be scored according to the amount of items you collect and puzzles you solve. 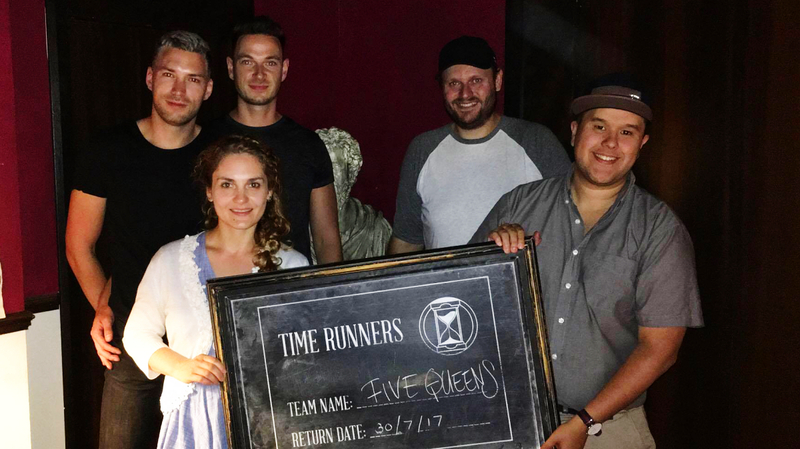 Time Run is an absolute must-do for any Escape Room enthusiast who manages to go to London. Go for it.